SAN FRANCISCO and TORONTO — January 15, 2019 — OMERS Ventures today announced its expansion to the U.S. through the opening of its Silicon Valley office and the hiring of venture capital veteran Michael Yang. OMERS Ventures is a multi-stage, multi-sector venture capital investment arm of OMERS, the defined benefit pension plan for municipal employees in the Province of Ontario, Canada. Michael Yang brings over a dozen years’ of venture capital investing with an early stage focus on e-commerce and emerging technologies such as healthtech, IoT, and AR/VR. His track record of success includes the exits of August (sold to Assa Abloy), Automatic (sold to SiriusXM), BodyMedia (sold to Jawbone) and Healthline (sold to Summit Partners). 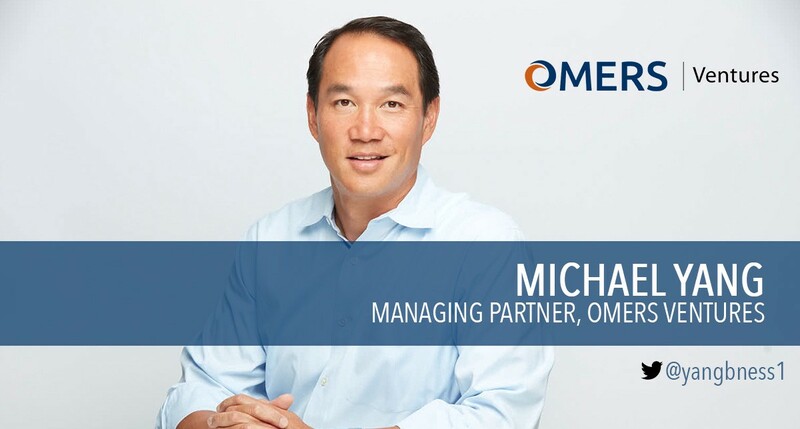 Alongside this experience and expertise, Michael’s deep industry relationships with a key network of strategic leaders, ranging from executives with Fortune 500 companies to entrepreneurs, will help further raise the profile of the OMERS Ventures’ team and portfolio. OMERS, with more than $95 billion in net assets, has developed direct investment strategies which cover a diverse range of assets across the globe. The OMERS Ventures office will be located in the Bay Area and will complement the existing team headquartered in Toronto, Canada. Michelle Killoran, Principal, OMERS Ventures, will be relocating from Toronto to Silicon Valley to provide additional strength to the new office. OMERS Ventures’ new Silicon Valley presence provides a bi-coastal and international foothold for the firm to identify promising investment opportunities in emerging and leading markets. This supports a multi-year global strategy for OMERS, which just last year saw the pension plan open an office in Singapore. Founded in 1962, OMERS is one of Canada’s largest defined benefit pension plans, with more than $95 billion CAD in net assets, as at December 31, 2017. It invests and administers pensions for almost half a million members from municipalities, school boards, emergency services and local agencies across Ontario. OMERS has employees in Toronto and other major cities across North America, the U.K., Europe, Asia and Australia — originating and managing a diversified portfolio of investments in public markets, private equity, infrastructure and real estate.